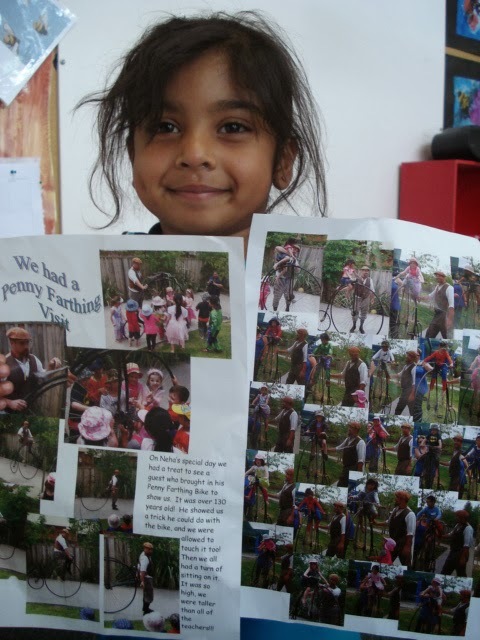 Today Neha brought in some pictures from her special day. Here is her party story: 'On Neha's special day we had a treat to see a guest who brought his Penny Farthing Bike to show us. It was over 130 years old! He showed us a trick he could do with the bike, and we were allowed to touch it too! Then we all had a turn of sitting on it. It was so high, we were taller than all the teachers!!!'. Thanks Neha! Great News!